I was wondering who has the most informations about the poneglyph ? like their origin, how they was introducing into the One Piece world, their purpose and their meaning ? So basically who gathered the most knowledge about it and still alive ? Robin spoke up and asked about the Void Century, explaining to Rayleigh her findings from the Poneglyph in Skypiea. Rayleigh replied that he did indeed find out the history of it, but advised that she continue looking for it on her own; he explained that if he told her at present, she would not be prepared for it nor have the strength and resources necessary to truly take advantage of the information. Apparently, Roger couldn't read the poneglyphs, but could still understand them. 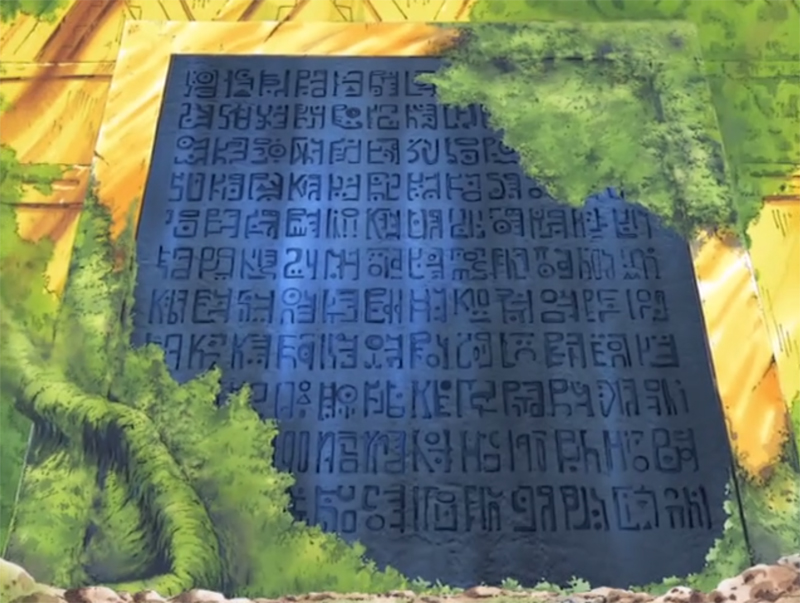 In regards to Roger using the lost Poneglyph script on the Shandoran Belfry, he cryptically stated that Roger could simply hear the voice of all things. So yeah, they know the true story and what happened in the Void Century. I would wager Robin is the most knowledgeable person after them. Who and what are the members of CP 0? Was the Flare-Flare Fruit that Sabo ate real? Or was it a fake made by Caesar? How big would the One Piece planet/universe be if looked from outer space?